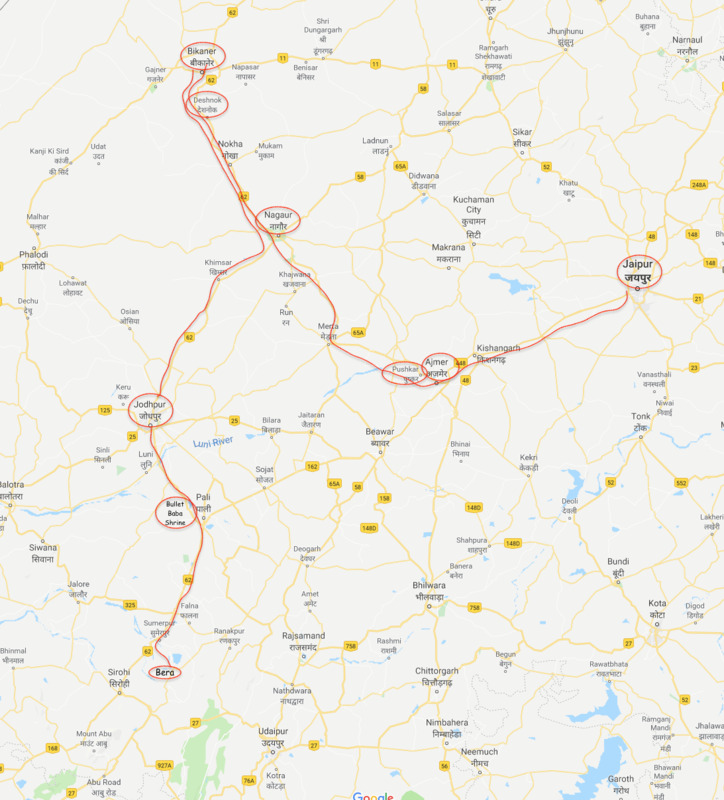 After a very delicious Indian breakfast at the Almond Tree hotel in Jodhpur, we drove south towards Bera, our next stop. 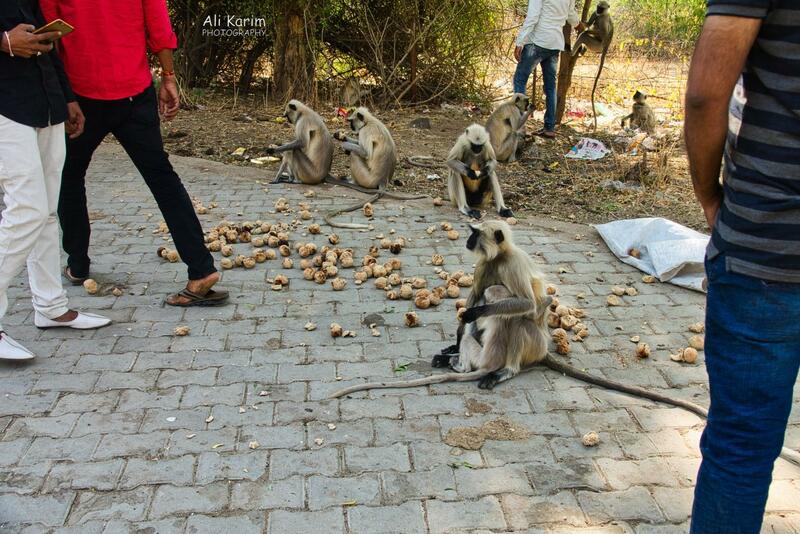 We drove on Hwy 62 again, and about 20kms before Pali, we came to a stop at the Bullet Baba shrine. Legend has it that in recent past, on 2 December 1991, Om Banna (formerly known as Om Singh Rathore) was travelling from the town of Bangdi near Pali, to Chotila, when he lost control of his motorcycle and hit a tree. Some say he was drunk. He died instantly and his motorcycle fell into a nearby ditch. The morning after the accident, local police took the motorcycle to a nearby police station. The next day it was reported to have disappeared from the station and was found back at the site of the accident. Police, once again, took the motorcycle, this time emptying its fuel tank and putting it under lock and chain to prevent its removal. Despite their efforts, the next morning it again disappeared and was found at the accident site, chains broken. Legend states that the motorcycle kept returning to the same ditch. It thwarted every attempt by police to keep it at the local police station; the motorcycle always returned to the same spot before dawn. After all of the ghostly happenings, the motorcycle was moved to the site permanently and a shrine was erected including a concrete dais and glass enclosure for the bike. Each day hundreds of passersby stop to bow down to the spirit of Om Banna the Motorcycle God (known colloquially as Bullet Baba, named after the Royal Enfield branded Bullet motorcycle he was riding) who is believed to offer protection to distressed travelers. 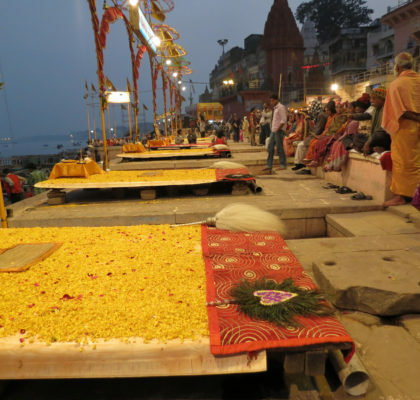 They leave flowers, food, incense, and bottles of liquor offerings to ask for the deity’s blessing. The temple even has its own priest who rituals and tends to the upkeep of the site. The tree into which Rathore crashed still stands in front of the shrine, and is now festooned with prayer strings, bangles and ropes. All travelers are expected to stop and pay homage here, otherwise they may not reach the end of their journey with all body parts intact. Only in India. We continued onto Pali and kept going till we reached the small town of Bera, and drove to the nearby to the Bera Safari Lodge. Dilshad had researched and come across this as we were planning our travels. Turns out, this place has the largest concentration of wild leopards in the planet; yes the world. 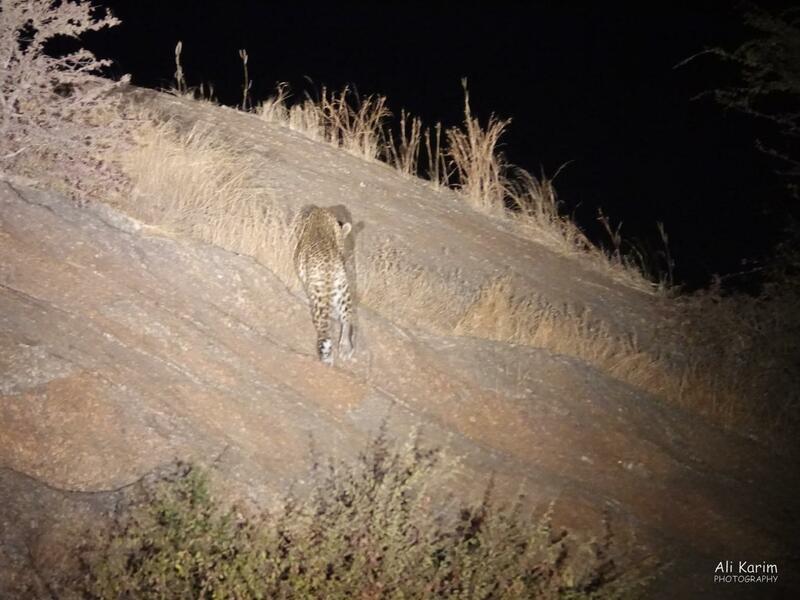 There are many leopards that reside here within an 8sq mile area of rocky hill outcrops and flat irrigated small fields, and thorny scrub. 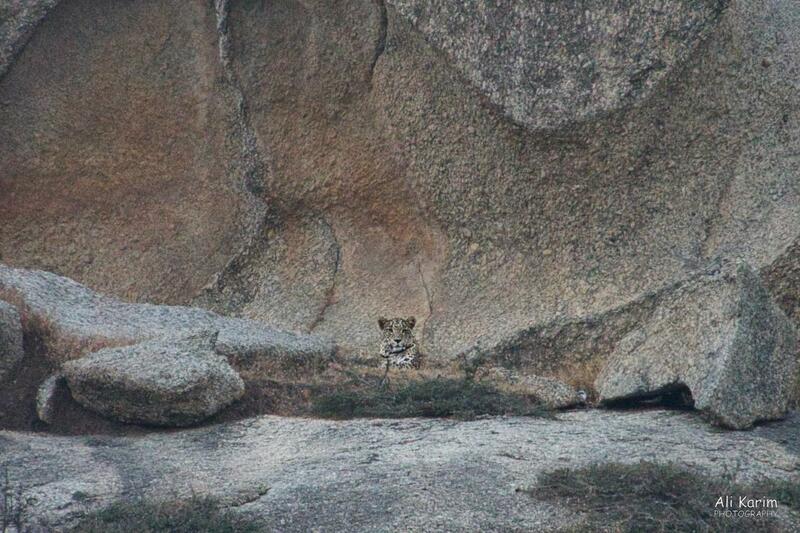 So you are much more likely to see a wild leopard here, than in Africa. We were met at the lodge/homestay by Shatrunjay Pratap and his family; the owners of the lodge. Shatrunjay gave us a brief rundown about the leopards and this area. Years earlier, he had decided that leopards should be protected and provided their space in this area where leopards were present. The Govt had been granting mining licenses for this area, for mining slate and granite. Shatrunjay fought the Govt, and found a clause that mining and heavy industry is not allowed within a certain distance of a heritage site, and worked that to the leopards benefit. 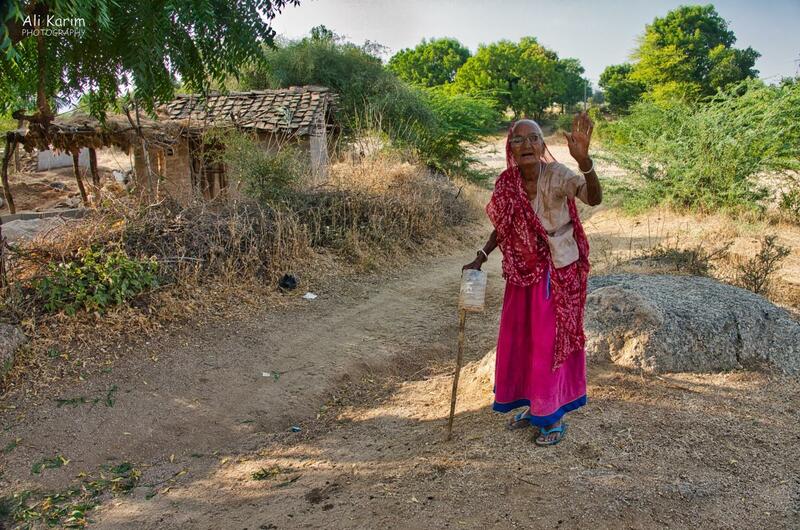 So this area is not a national park or animal reserve, but the local Rabari tribes people villages and homes. The leopards’ conspicuous presence is due to a unique relationship with the Rabari villagers, who are a tribal caste of semi-nomadic cattle herders and shepherds believed to have migrated to Rajasthan from Iran via Afghanistan a thousand years ago,. 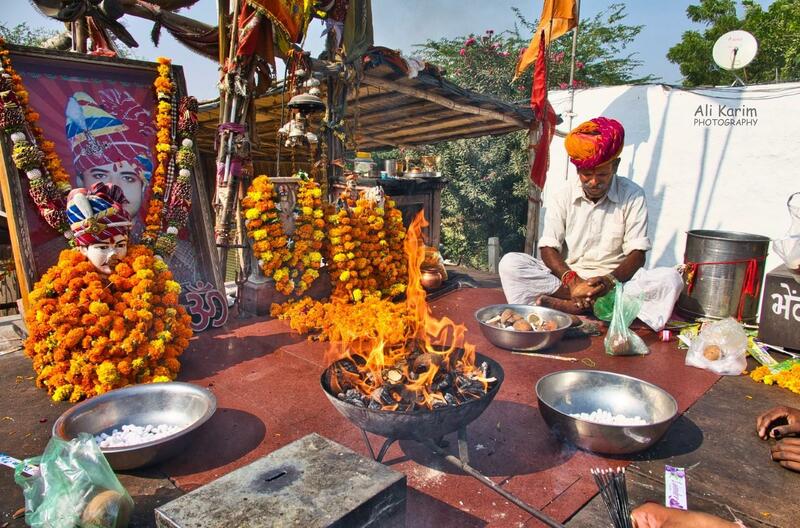 They are devout Hindus, and devotees of Shiva—the god of wild things, who is always depicted clad in a leopard skin. 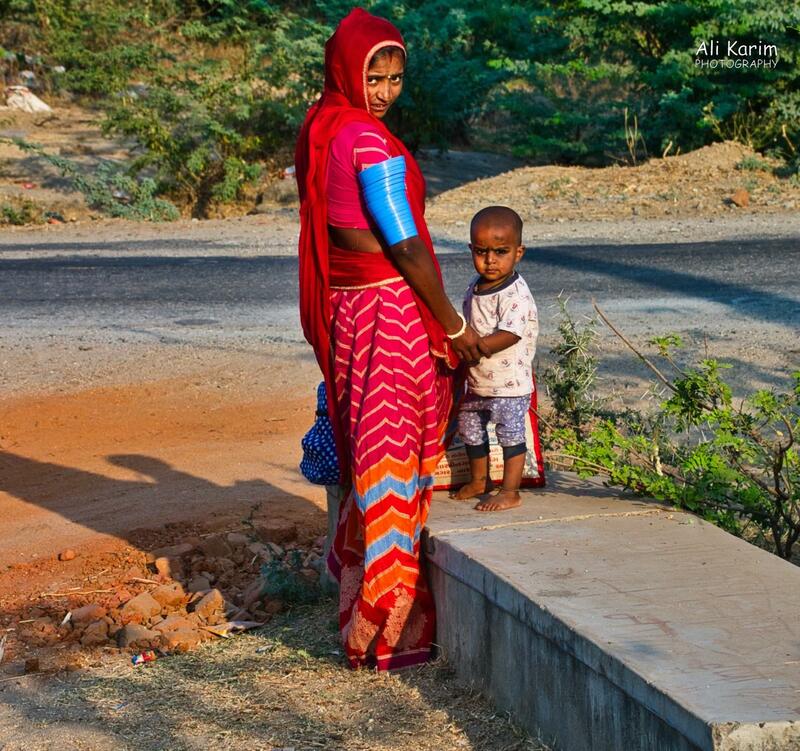 So while in the rest of India, leopard and human encounters are usually deadly for both sides, here in Rabari land, they have peacefully co-existed for a hundred years. 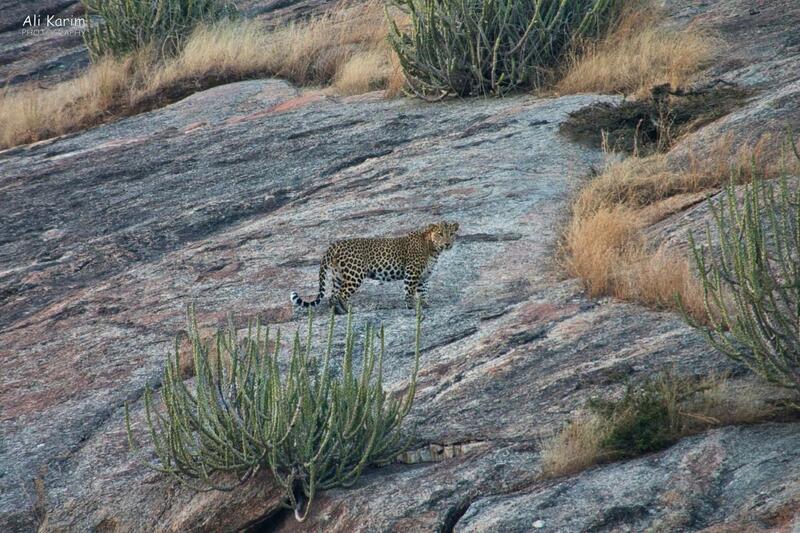 The leopards hunt for wild dogs, foxes, antelopes etc etc and also will prey on the herdsmen’s sheep, goats and cattle. 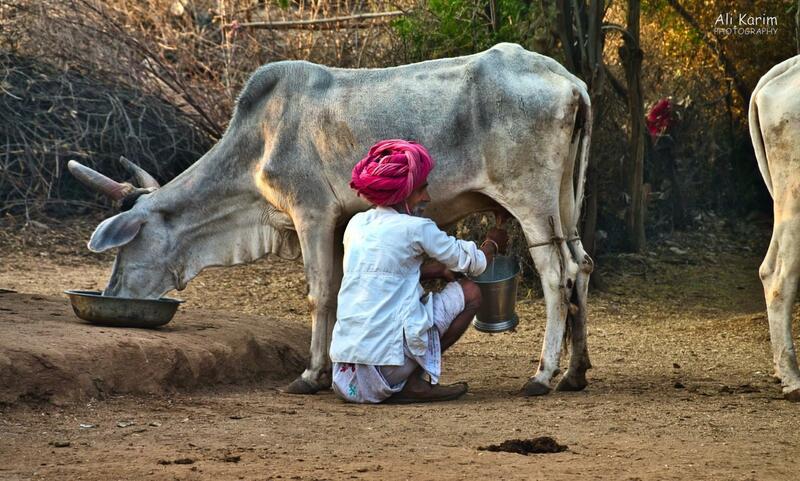 The Rabari are content to claim the half value they get from the State Forestry Dept for the kills of their herds, and many times, they don’t even claim anything; “If any leopard kills my livestock, Lord Shiva will give me double”. 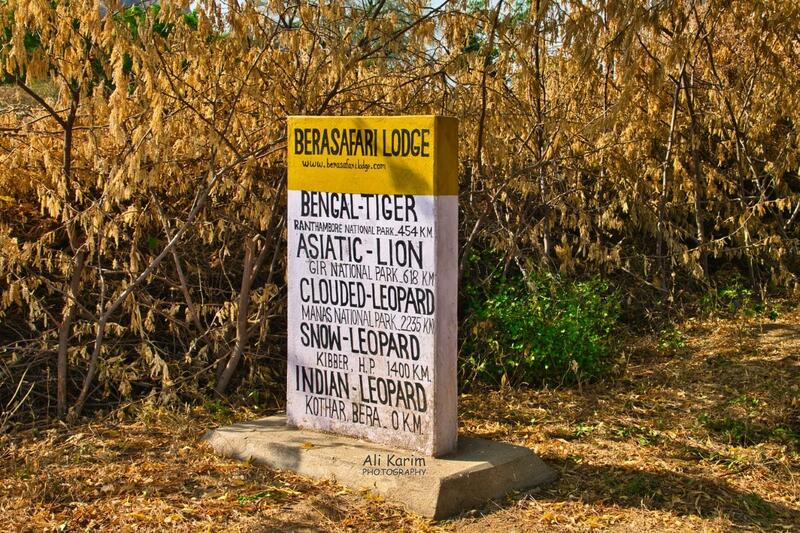 So the leopards are not chased or hunted by the local Rabari’s, and since the leopards get enough to feed on from easy prey, they don’t bother humans. A most interesting relationship. Staying with Shatrunjay at the lodge, everything is included; as hotels and restaurants are not close by or comfortable. 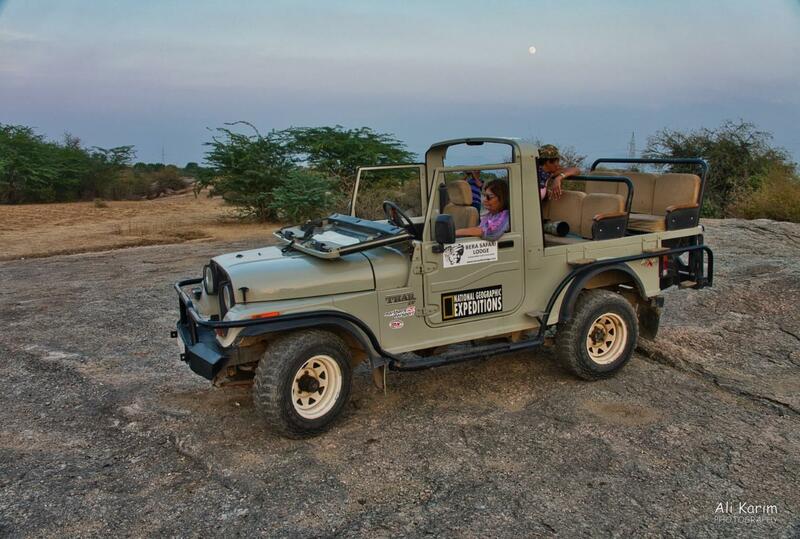 So all meals are included, 2 safari drives every evening and early morning, and excursions to see the local Rabari villages/homes. 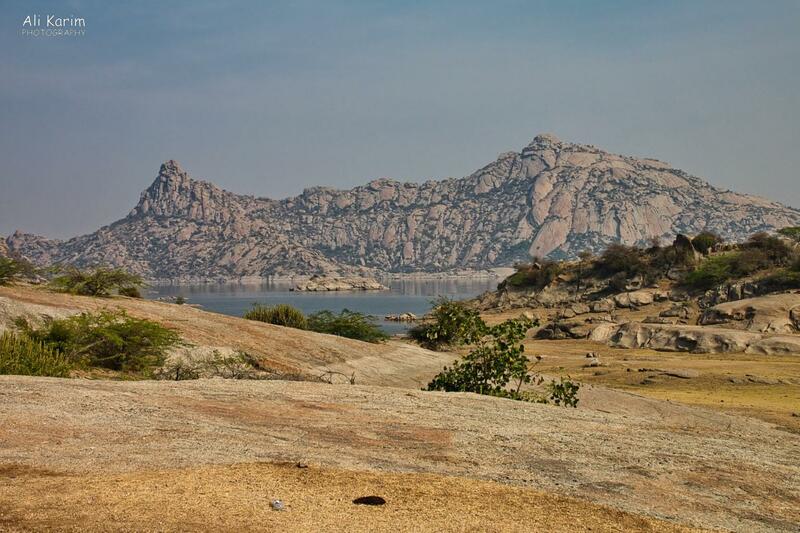 Shatrunjay organized the various villages in this area, so that they are all on a Whatsapp group, and anytime leopards are spotted or a kill is made of their livestock, they all get notified. 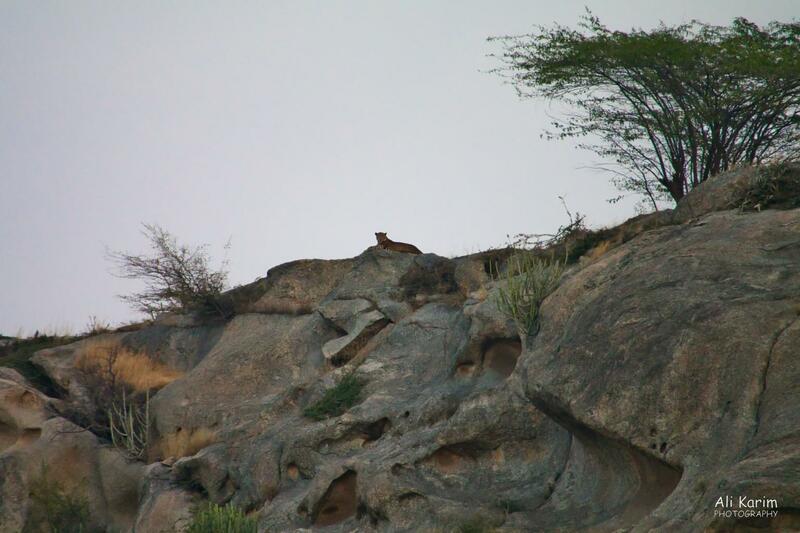 This make the spotting of leopards that much easier; though it does take a lot of patience to wait and spot the leopards. In the evenings, when we were returning to the lodge, it had typically gone dark, but we still seeing villagers walking home, unafraid of the giant cats. Caught at night with searchlights, near some homes. 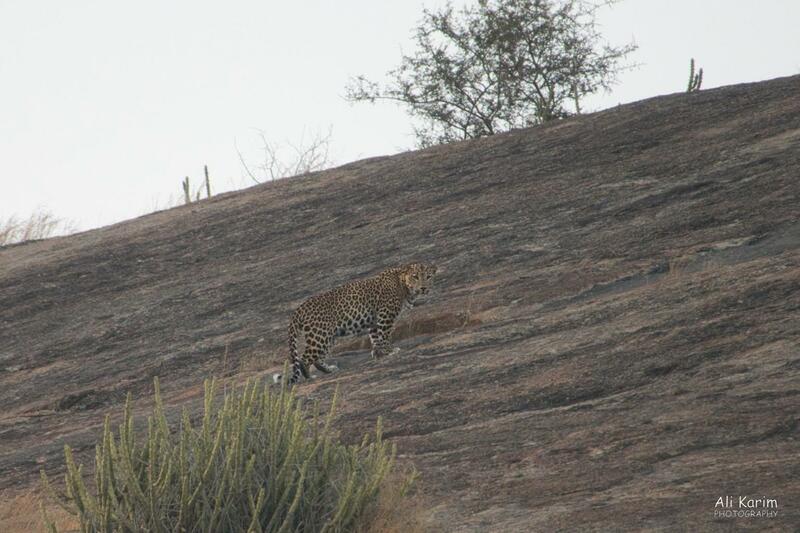 Next morning, we learnt that there was a goat that was killed that night near where we saw this leopard. The Safari lodge had 6-8 sets of very spacious and comfortable rooms; and a nice common dining room. In the evening, before dinner, we all set around a campfire, watching the millions of stars come out (no light pollution here); and had our sundowner drinks, before going in to the Dining room for dinner. 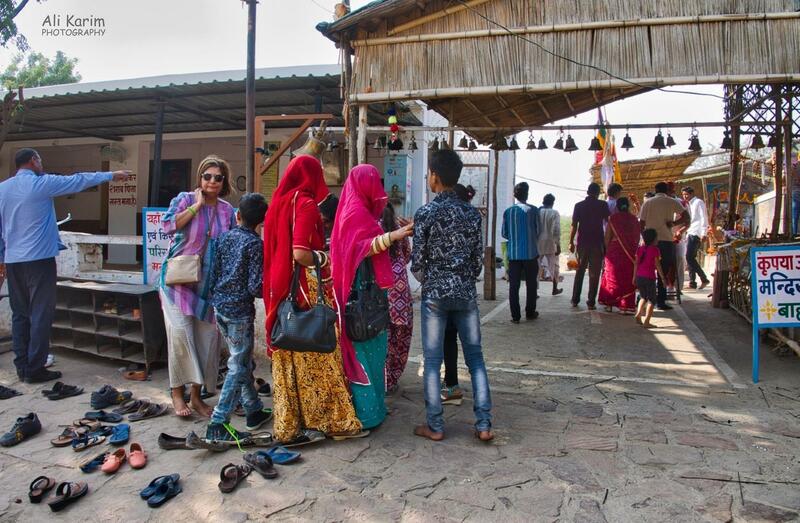 Everything came with very good service; excellent and polite staff; all mostly local Rabari’s learning how to manage tourism with precious jobs. 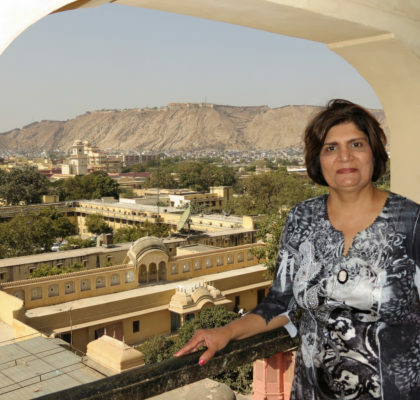 The food was always sourced locally, and served as local recipes; Dilshad fell in love with the food; it was always simple, home-cooked, and fresh. This had to be some of the best food we had eaten in India. The lodge was a little pricy for me, but when you consider that it is all-inclusive, you have great comfort and amenities in the middle of nowhere, it does make you realize the cost needed to set up such a facility. 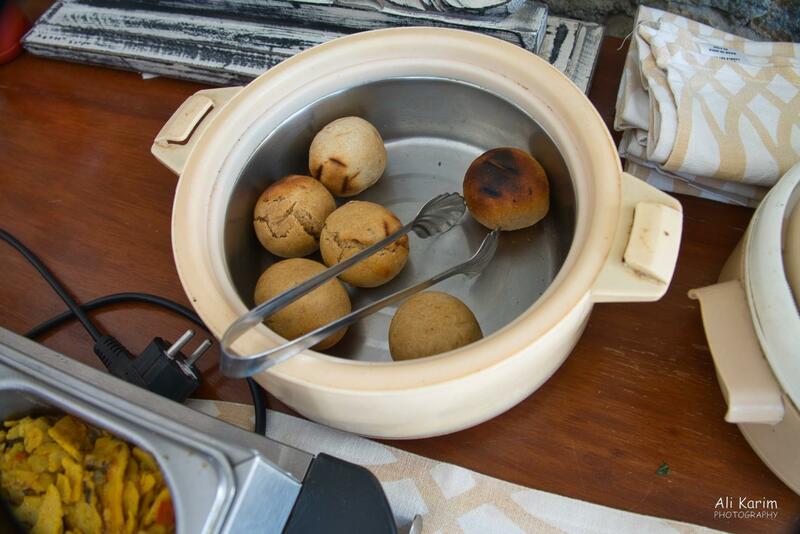 Baati is the local diet; a hard wheat bread with some kind of sattu and onion filling. 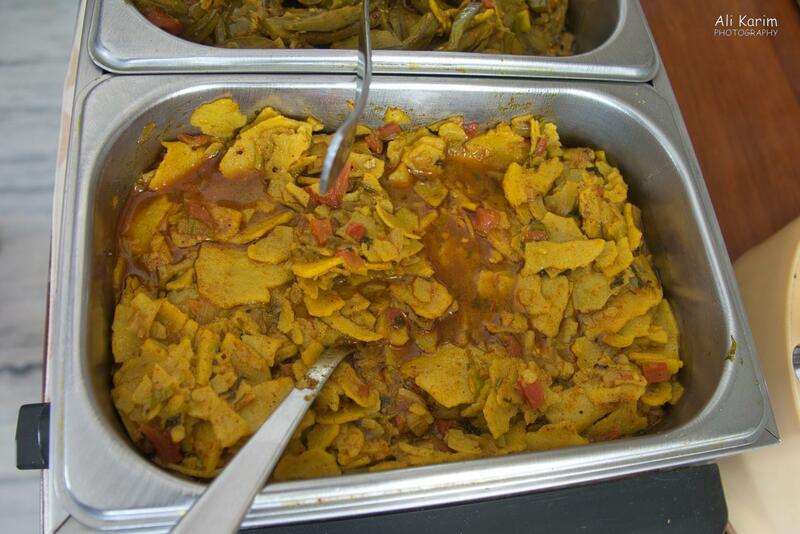 This staple food (Baati) is popular as it lasts without rotting for a very long time (used by soldiers in wartimes) and because it needs very little water (desert); and is usually crumbled and dal and ghee added to it as a mix. 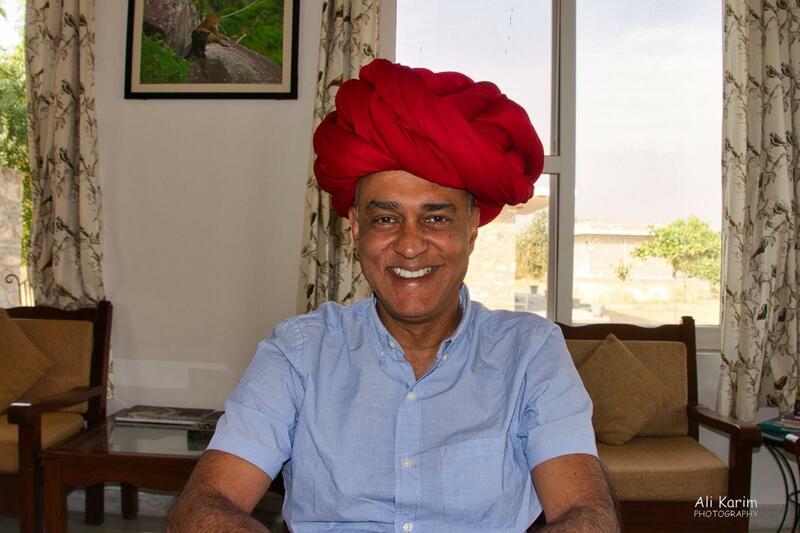 Ali Ram: I had to try out the Rabari turban; 🙂 . And it did weight quite a bit. 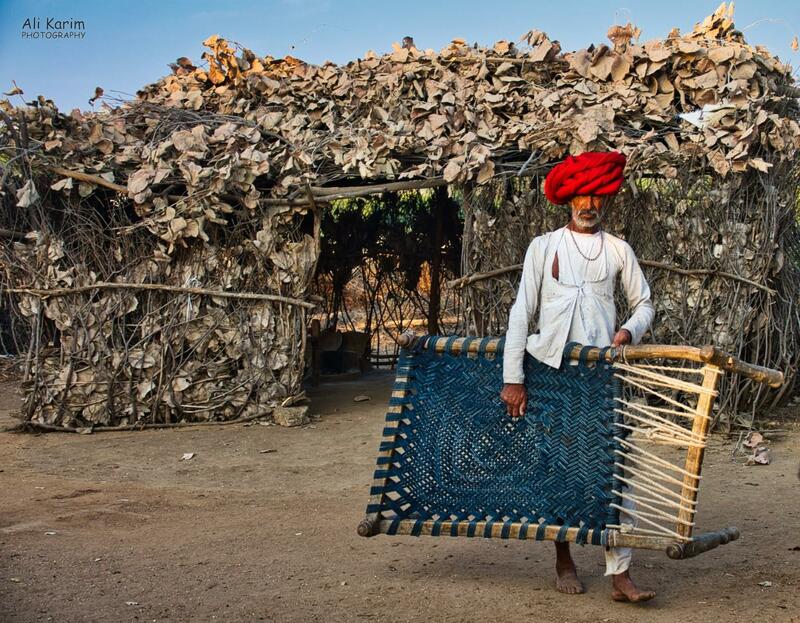 We visited this man and his family; a Rabari semi-nomad livestock owner. Note his nomadic abode behind him. 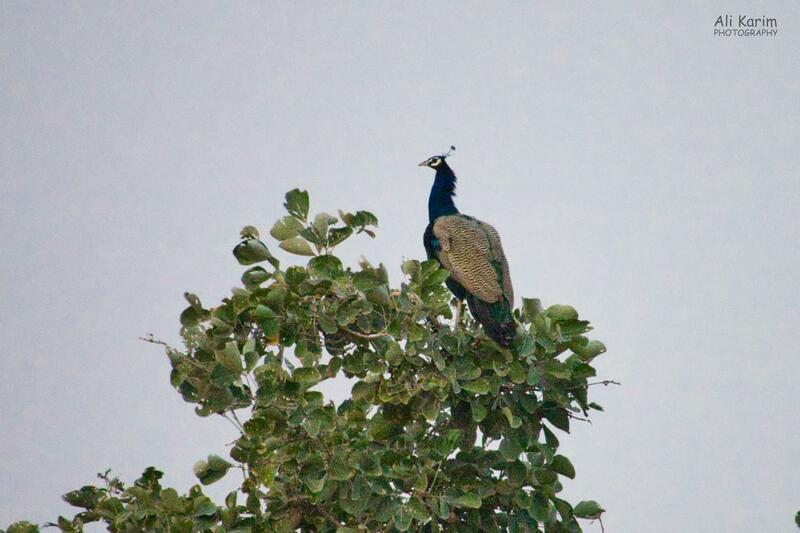 After an interesting few days at Bera Safari, we left early in the morning and started driving to Bhuj, Kutch. 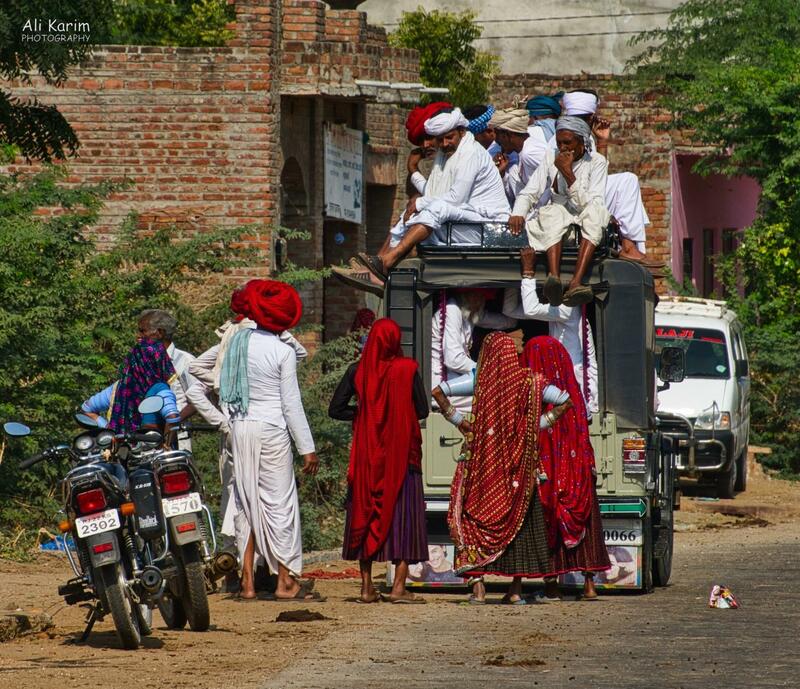 Ali, Thx for your continuing blog on Rajasthan. Enjoyed it! Glad you enjoyed it; thanks for the feedback. Very cool! Love the pictures!!! Thanks Ken, for reading my blog and for the feedback. Glad you enjoyed it. Ali, I really enjoy reading your travel blogs. Hi Ali – again a well written and informative article. Your safari experiences reminded me of my safari trips in East Africa. 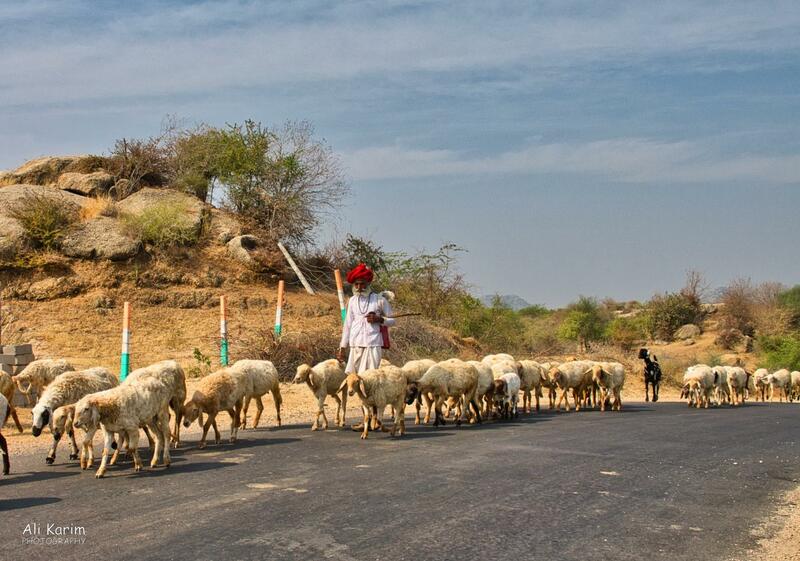 Looking forward to read your write up on Kutch. Hi Mehboob; many thanks for the feedback; so glad you enjoyed the blogs. Enjoyed reading about your trip to Rajasthan. Excellent pictures. My wife an I just returned from a five-week vacation from London, Dubai and India. 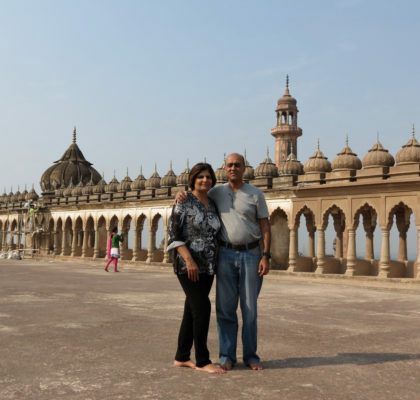 Our tour of India took us to Mumbai, Pune, Panchgani, Dubai and London. 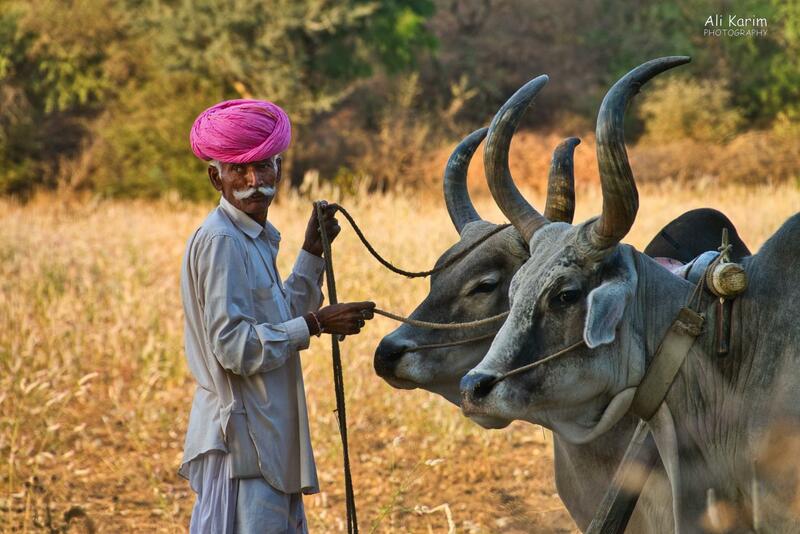 During the trip to India, we were able to take a seven-day luxurious train trip through Maharashtra. 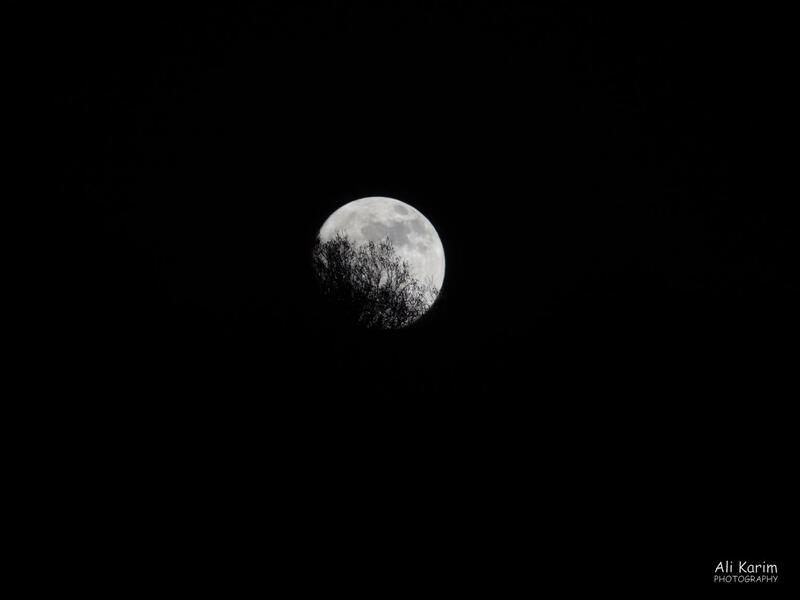 It was quite enjoyable. 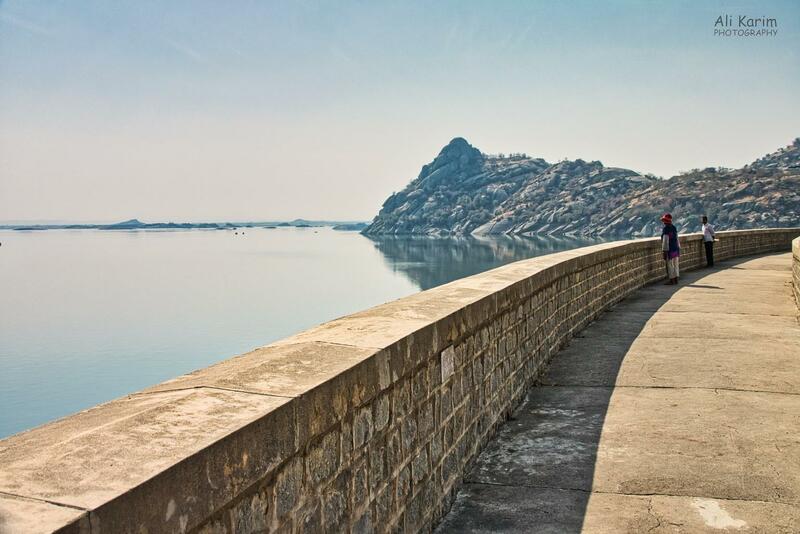 Seven weeks of travel has really exhausted us and I wonder how you can undertake constant travelling for months. 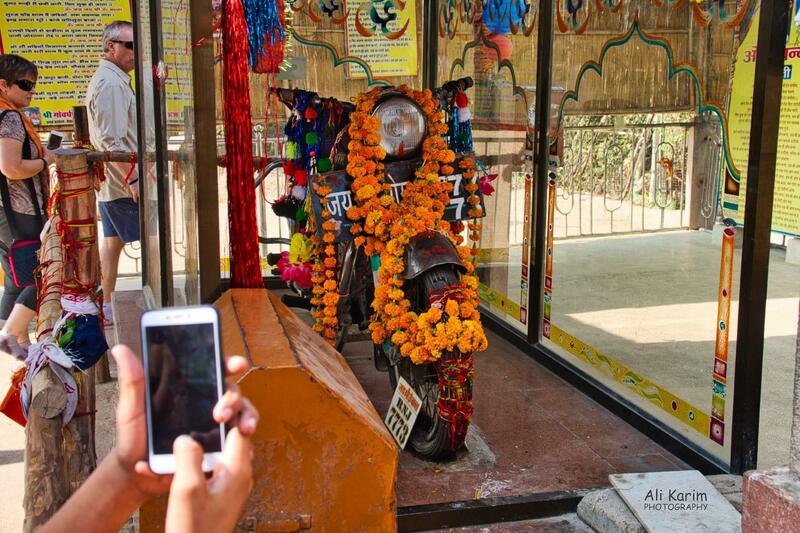 Only in india does a motorcycle crash result in a temple!!! Good to know that largest leopard density is in India. What a great place to visit. Baati sounds like an Interesting meal. Does not spoil. Wow. HI Amin, thanks for the feedback; I really appreciate that. All the best & enjoy your trips. Wow, love the picture of the leopard. Keep it up Ali. Great job. Wish you a very happy vacation. Sorry to reply late as I was travelling, thank you for the fantastic write up. 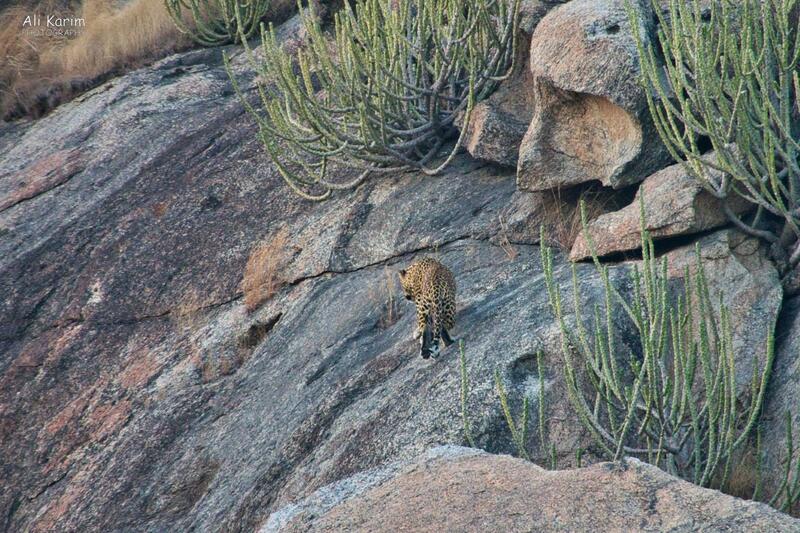 Leopards & Shepards is almost done few sequences are pending, Nat Geo team will come this summers and compleat it. Good experience. Please keep yourselves, safe & healthy. Thanks for sharing. 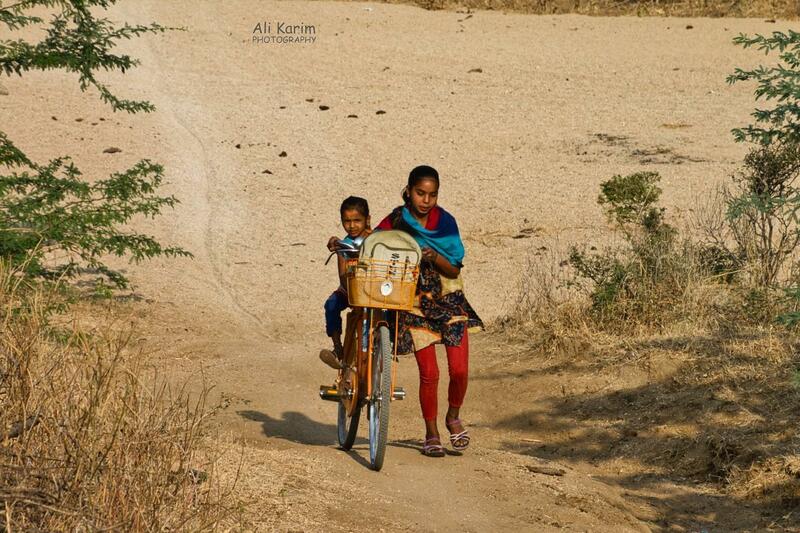 Hello Ali, thanks for sharing such beautiful pictures, so bright and colorful. I have to plan a trip to see these places.